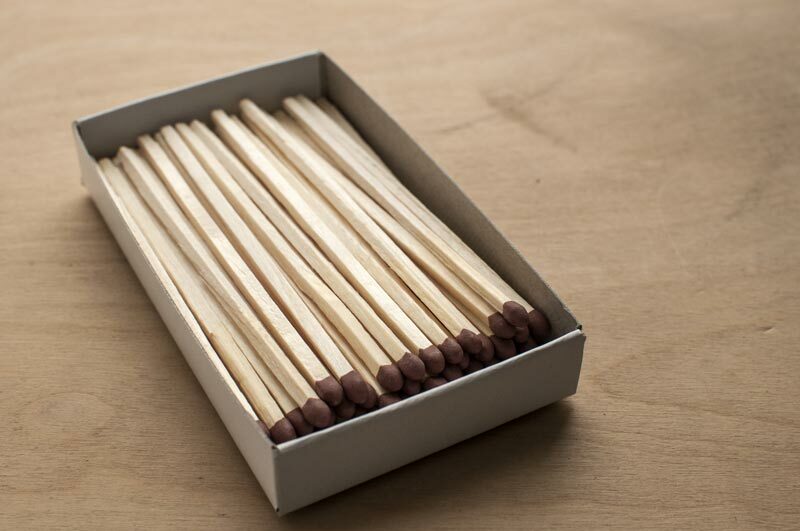 The first matches and matchboxes began selling to the public in 1826. Since that time, individuals have made a point to collect these small, but unique, marketing pieces. Throughout history, people would bring home matchboxes as souvenirs from their travels, thus increasing their popularity for collectors. With just a small space in your suitcase, you could bring home plenty of memories. The hobby of collecting matches, matchboxes, matchbooks, and labels is known as phillumeny. Collectors are referred to as phillumenists. Read on to learn how matchboxes continue to serve both as a unique collectible and great marketing item. A matchbox or matchbook’s packaging has value for its unique artwork and detailing. Many collectors take pride in amassing large collections of rare labels. They provide an interesting conversation starter as well as a great way to bring back memories of places, people, and events. Matchbook collecting is a fun and easy way to create a visual record of your travels as well as appreciating their artistic designs. World famous artists, such as George Petty, Alberto Vargas, and Ed Moran, would draw pictures of women that found their way on matchbook covers. A fun fact is Marilyn Monroe was an early model for matchbook designs! For a collector, one of the first things to know is the different types of matchbox labels that you can collect. As you get more experienced in the options available, you will discover the type and style in which to specialize. Here are a few of the options you have to consider if you decide to start collecting. These labels are a single square glued to the top of a matchbox. It is pretty easy to remove them for mounting in an album. They tend to be the most popular label for collectors and could be a great way for you to get started. An all-round label is wrapped around the entire outside of the matchbox. These labels need to be in one piece for them to be worth anything. They are quite rare since going out of use in the 1970’s. An even more rare version is one from a cylindrical box. If you have these in your collection, then it will likely have a positive impact on your collection’s value. Skillets are the modern matchbox that we all know today. They are the small boxes with the label printed onto the box. They are the least popular item with traditional collectors, as they do not offer the same unique flair as the others. If you choose to collect these, then open the boxes to lay them flat but never cut them apart into panels. These are rare, and most collectors tend to ignore them because of how hard they are to find. If you do find one, they are worth more than a box sized label. Packet labels are from a packet, which holds 10 to 12 boxes. They are often referred to as a dozen or gross label. Again, if you choose to specialize in these, your community of collectors is going to be much smaller. Many collectors choose to collect the covers from matchbooks. Usually, the matches get removed from the inside and not saved. The only time the matches remain is when they have a design printed on them. Otherwise, the stripped covers get pressed flat and mounted for display. Collectors can choose from hundreds of categories of matchbooks to build a collection. You could collect certain years, manufacturers, themes, subjects or trademarks. The options are endless. Getting started in phillumeny is easier when you find other like-minded collectors. They can help guide you in the many different ways to build your collection. Once you are familiar with the different types of options available, you can start to focus your collection. There could be a certain manufacturer or industry will interest you or a specific type of label. Whatever you decide, getting active in the community is the best way to grow your collection. Furthermore, if you’re a business owner, what better way to advertise than with this walking billboard for your company. It’s a cost-effective tool that has been used successfully for decades to get the word out. The hospitality industry, for one, has enjoyed the benefits of marketing with matches. Why have matchboxes lasted so long? Keep reading for our take on why they are perfect for marketing.